CALEDONIA — In a game filled with runs, Clear Fork took advantage of its final one in a hard-fought 71-66 win over River Valley Friday night. The Colts had an 11-3 run in the first quarter and an 8-0 run in the third quarter. The Vikings went on a 7-0 spree in the second. “We knew going in they’re that type of team. 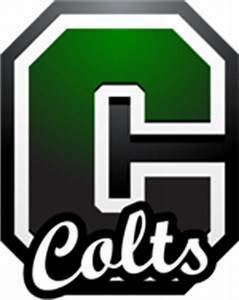 They can get hot, and just go and put up a lot of points,” Colts head coach Steven Bechtel said. Clear Fork (13-2, 9-0) was led by AJ Blubaugh with 19 points and 8 rebounds. River Valley’s 6-6 senior post AJ Kenney did the same for his squad, scoring 22 points and grabbing a dozen boards. “He size creates a mismatch problem for us. He does a great job of winning position down there and when he does he’s very successful. We knew that was going to be an issue. Our biggest thing was to try to keep their shooters at bay. “Merritt Burgholder played phenomenal off the bench. He had a big part of defending him and making it tougher on him,” Bechtel said of his 6-5 sophomore. The Colts converted 16-of-19 free throws to 5-of-5 for River Valley. Brennan South added 17 points and Brady Tedrow 14. Jared Schaefer added 9 points and 7 rebounds. The Colts lead 20-11 after one period and 38-28 at halftime. South hit two shots as part of that 8-0 run to put the visitors ahead 56-45 heading into the fourth quarter. Kinney’s inside presence kept the Vikings in the game, cutting the margin to 66-63 with under a minute to play. “They did a great job of continuing to fight,” Bechtel said of River Valley, which got 17 from Evan Kitchen and 11 from Ethan Bell. The Colts beat Fredericktown 81-62 Tuesday night and host Lucas Saturday, making it 3 games in 5 days. “We know that every night we’re going to get everybody’s best shot,” Bechtel said.